Thirty hours of classroom with a state-licensed and bonded driving school. Each classroom session is broken-down into fifteen two-hour sessions. 6 hours of driving and 6 hours of observation with state-licensed and bonded driving school. 19 hours of driving with a parent or legal guardian. While our traditional class may not seem as convenient as an online experience, we do want parents and students to consider the value of peer interaction as well as having a live teacher who provides demonstrations and is available to answer questions. *If you don't complete your on line program in 90 days there will be a $25.00 reactivation fee. Why chose 4 Lakes Driving? When it comes down to it, you may wonder why you should even bother enrolling in driver training. Wisconsin only makes attending driving school mandatory for those not yet 18. But, there are many good reasons why you should sign up for driver's education at 4 Lakes. Our instructors care about their students and our instructors want their students to be safe. It is all about making the best choice ? of ensuring that all teens learn how to drive safely. Oldest - Since 1965 we have been serving the greater Madison area. With over 50 years of experience, we are not a here today, gone tomorrow business. Largest - More people choose 4 Lakes; more than any other school. With Westside, and Eastside, locations, we have seven training cars, and 12 instructors waiting to serve you. Professional - At 4 Lakes, we follow the rules and laws set out by the state of Wisconsin. For a driving school to remain in business for 0ver 50 years and to maintain a perfect record and standing with the state, it demonstrates our level of professionalism. We take our role in the community very seriously by providing a valuable service to the families which choose 4 Lakes. Cars - 4 Lakes purchases new training vehicles for our fleet every two years so our students are always driving in cars that are safe with the latest technology. Repeat Business - Parents often choose to send all of their children to 4 Lakes. In fact, many of our students from 25 & 30 years ago are now sending their teenagers to our school. Full Time Office - Our school is staffed five days a week, Monday thru Friday, with someone here to answer all your questions and concerns immediately. It is very important that parents take a role in their teen drivers education. It is mandatory that a parent/legal guardian drive with their teen for at least nineteen hours over the six months a teen is required to hold their learners permit. 4 Lakes will do twelve required hours with your teen. 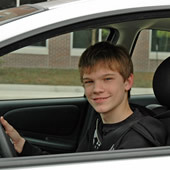 We encourage parents to practice with your teen in between their professional driving lessons. Additional practice will help driving become second nature to the novice driver. We understand that modern day parents have busy schedules and it is hard to fit driving time in with their teen. Many of us at 4 Lakes are also parents! But, we know that even small drives from here to there are crucial to developing good driving skills. Please take time out of your busy schedules and help make your children safe and courteous drivers. It is one of the best investments you will ever make!  For past 50 years 4 Lakes Driver Training has been training teens driver education in Madison.